EVENT IS SOLD OUT. NO TICKETS AVAILABLE AT THE DOOR. 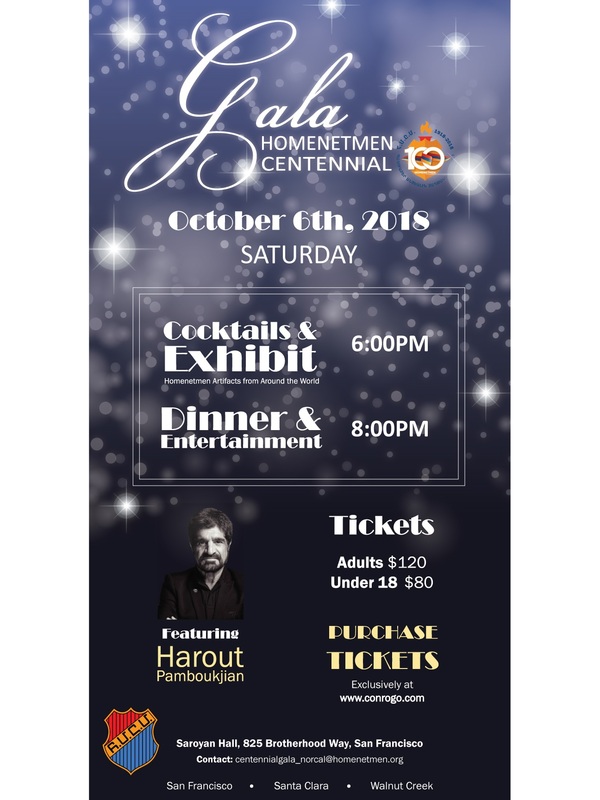 Join us for a unforgettable evening as the Northern California chapters of Homenetmen celebrate our beloved organization's 100 years of service to our communities and our youth. Cocktails and Exhibition of Homenetmen Artifacts begin at 6:00pm. Dinner and Program at 8:00pm. Followed by a night to remember by Harout Pamboukjian and his Band! Event will be sold out soon, and NO tickets will be sold at the door, so please reserve right away.